Tahoe City shopping takes you away from the outlets and chain stores and into a world of independent names and mom-and-pop establishments. Whether you like browsing funky stores that cater to hipster interests or getting lost in general stores, the businesses you’ll find in Tahoe City have something for everyone. 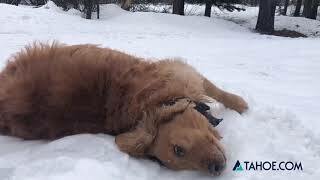 A day out doing Tahoe City shopping can take care of every need on your list, ranging from hardware, furniture, clothes, eateries, toys, sports to even some baked goods for your pets! Even though you’re in an area with huge shopping potential, you don’t need to worry about breaking the bank – this page of Tahoe City shopping sales and events has you covered. Your shopping trip is made even easier with this heads up to Tahoe City shopping sales and special offers happening right now. Think about how much time you’ll save when this page points you directly to the bargains you’re looking for, and you can forget about wasting time as you run around in search of bargains. The friendly staff at shops and stores want your experience with Tahoe City shopping to be relaxed and fun, and they’ll gladly help you find what you’re looking for and maybe even drop a hint or two about more upcoming sales and specials. With these shopping sales, you might find great deals on sports gear or finally purchase that beautiful masterpiece from the art gallery that you’ve had your eye on. With the money you save from these sweet sales and offers, you can do even more shopping or put the savings toward other activities. It’s a win-win! 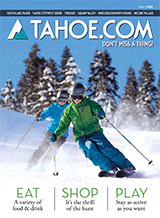 Check out all the listings here to see what sorts of deals and sales are happening with Tahoe City Shopping.